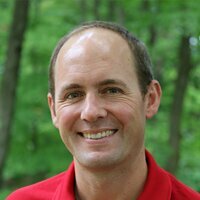 In this episode, Dr. Tim Fletcher discusses the work taking place behind the scenes in helping to develop and deepen the use of the Meaningful PE model that he and his team of researchers have been working on over the past several years. Tim is a part of a great team that is refining this model so that physical education and health teachers can develop the language needed and specific tools to know how to regularly, systematically, and intentionally create meaningful learning experiences related to physical activity and sport for young people. Their ultimate goal is to get young people to take action on leading physically active lives in order to embrace movement for life. At the heart of the Meaningful PE model are 5 features that Tim and his team think are critically important to embed within all physical education and sport experiences in order to help develop lifelong movers; Challenge, Motor Competence, Fun, Social Interaction, and Personal Relevance. We dive into these 5 features and begin to unpack each of them in this episode, so that physical education and health professionals can gain deeper insight into how they can plant the seeds for student success in their programs. Tim and his team do not claim to have all of the answers or are they implying that their Meaningful PE model is the best that there is, but they instead they continue to refine their own understanding of how this model might be applied across different contexts and cultures in order to promote richer and more positive experiences for young people in physical education. You are sure to gain some valuable takeaway from this discussion with Dr. Tim Fletcher. Thanks for listening.